Make your way through Barbossa's treacherous hideout and save Elizabeth Swann. If you want to play Pirates of the Caribbean Cursed Cave Crusade games online you have come to the right place! 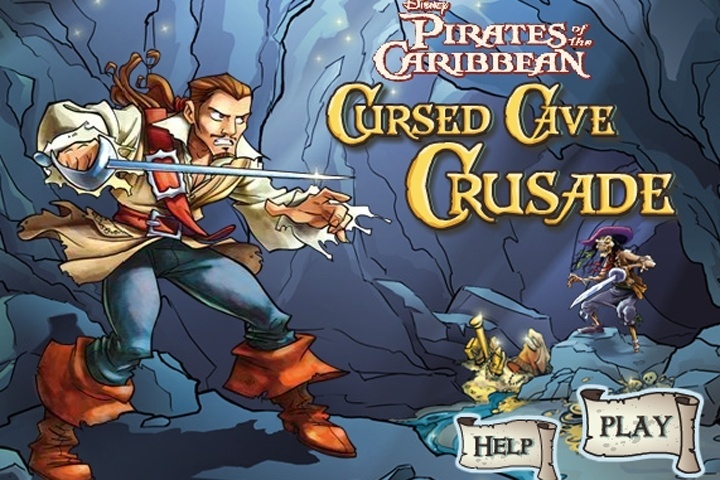 GamesLoon adds new Pirates of the Caribbean Cursed Cave Crusade games every week. This is your game portal where you can find the biggest collection of free Pirates of the Caribbean Cursed Cave Crusade games online. Do not forget to rate our Pirates of the Caribbean Cursed Cave Crusade free online games while playing!